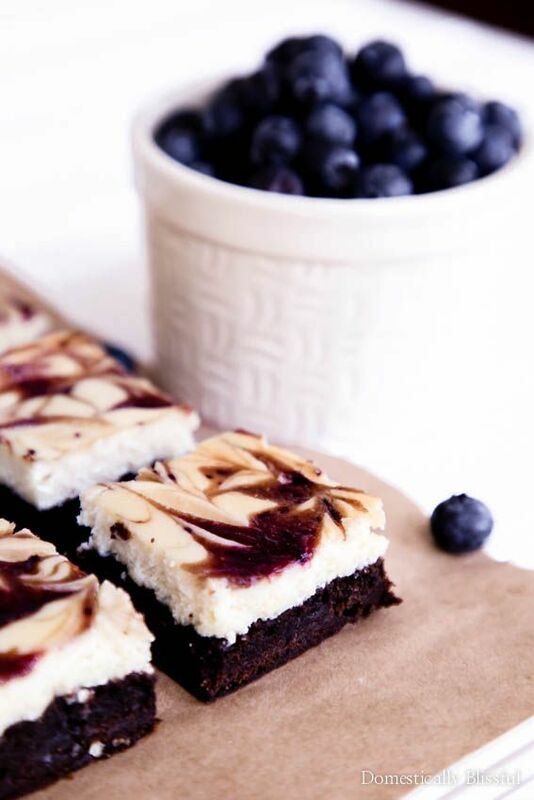 With a homemade creamy cheesecake, tangy fresh blueberries, & rich chocolate brownie these Blueberry Cheesecake Brownies are sure to be a hit at your next party! I have many weaknesses & I’m not afraid to admit it. 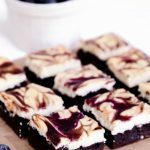 One of my biggest weaknesses is any form of cheesecake brownie. In the past, I have shared 3 types of cheesecake brownies, including Pumpkin Cheesecake Brownies & Blackberry Cheesecake OREO Brownies. Since blueberry season is just around the corner, & I know I’ll be spending quite a bit of time picking blueberries at my parent’s house, I knew I needed a new recipe to indulge on that involves blueberries. 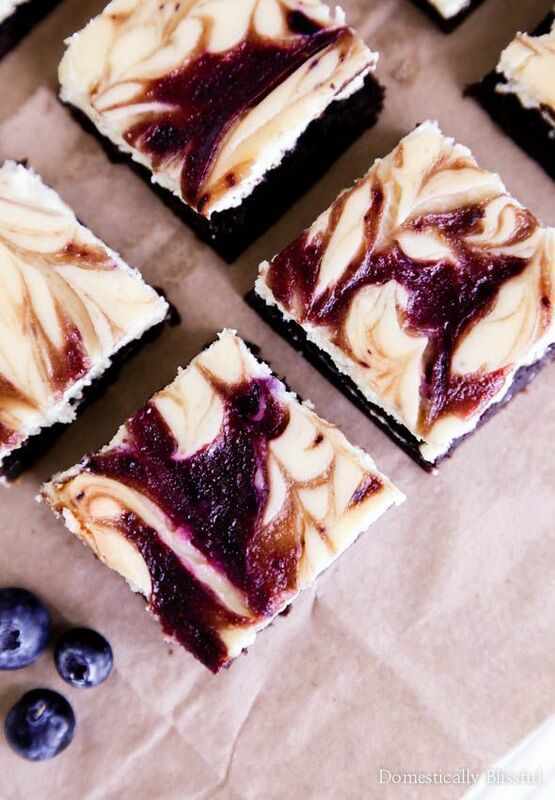 And because there is no such thing as too many types of cheesecake brownies, at least I don’t think so, I decided Blueberry Cheesecake Brownies needed to be next on my dessert bucket list. Yes, that’s right, a dessert bucket list. Currently, I use my planner to keep track of the list of recipes I want to create & share with you, but I’m thinking I may need to find a little notebook just for filling with dessert recipe ideas. Maybe create one list of desserts I want to create at home & then a secondary list of desserts I have tasted & loved while traveling. This idea is spiraling out of control. Now I’m thinking about starting a personal diary just about all the food I eat while traveling. Maybe that is a little too food obsessive. I’ll try to just stick to my planner & blog for now, or else I may wake up one day & realize nothing I own fits. Good thing we joined a gym on Valentine’s day! 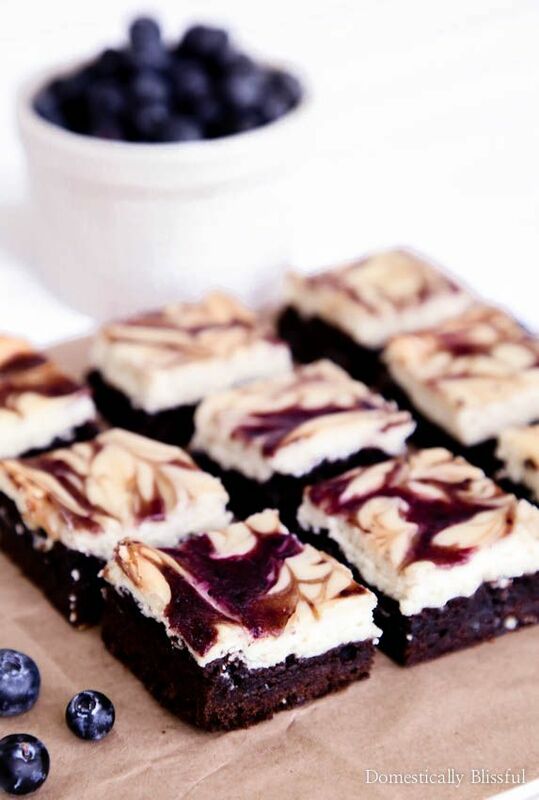 Nothing says love like working out… Except for dark chocolate cherry scones, Nutella Cheesecake Strawberry Bites, & these blueberry cheesecake brownies! 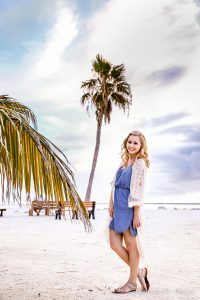 So if all this talk about food doesn’t have your mouth watering yet, hopefully, these pictures do! I’ve been having so much fun learning how to take photos with my new Canon EOS 6D & a Canon EF 24-70mm f/2.8L II lens. And I’m hoping you can already see an improvement in my food photography! Puree the blueberries & sugar, strain if desired. In a baking dish (13X9) sprayed with oil or lined with parchment paper, pour the brownie mix & spread evenly on the bottom of the pan. Then cover with the cheesecake mixture. Finally, drizzle & swirl the blueberry mixture on top of the cheesecake. Enjoy & keep leftovers in lightly sealed container in the fridge for 3-5 days. *1. If you want to make the flavor of blackberries stronger double this amount to 1 cup blueberries & 2 tablespoons sugar. *2. Sometimes you will need an additional 15 minutes baking time covered with foil for a total of 30 minutes covered with foil. 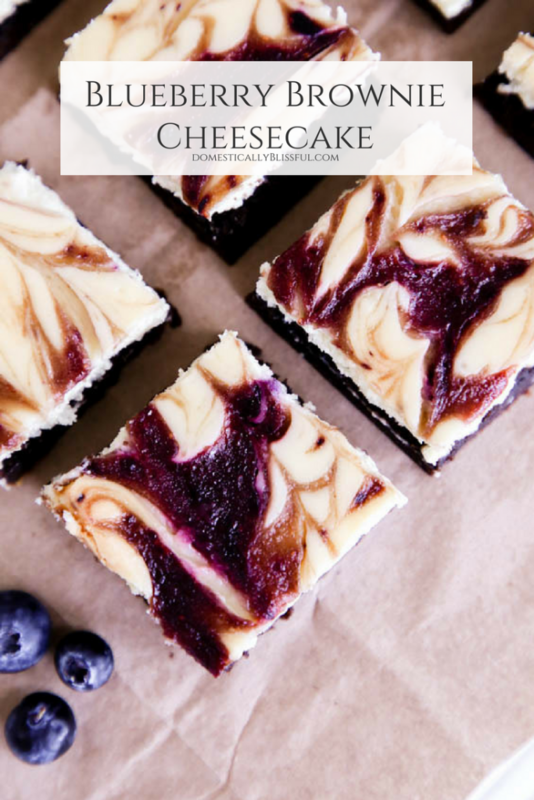 What is your favorite fruit flavor to add to cheesecake brownies?